I saw a tourist family dressed like this at Costco the other day, except the pattern was bright red. And frankly, they looked like they’d escaped from a nearby asylum. Mr. Mauidailyescape tells me that back in the day it was actually cute and kosher for a couple to wear matching Aloha (Hawaiian print) wear in Hawaii. His shirt and her mumuu, out on a date together. The younger women wore short mumuus and the older ladies wore long mumuus. Aww. C’mon, fess up. Did you have this shirt? I had this shirt. The last time my dad and his wife came to visit us in Maui she made sure they had matching outfits “so they’d be sure to fit in.” And off to the luau we went! But if your goal is truly to fit in, not stand out or scream “tourist”, please resist the urge. 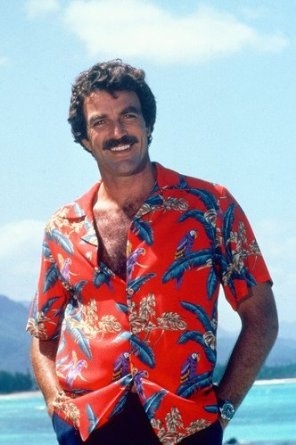 That looked died somewhere around December 11th, 1980 when “Magnum” premiered. 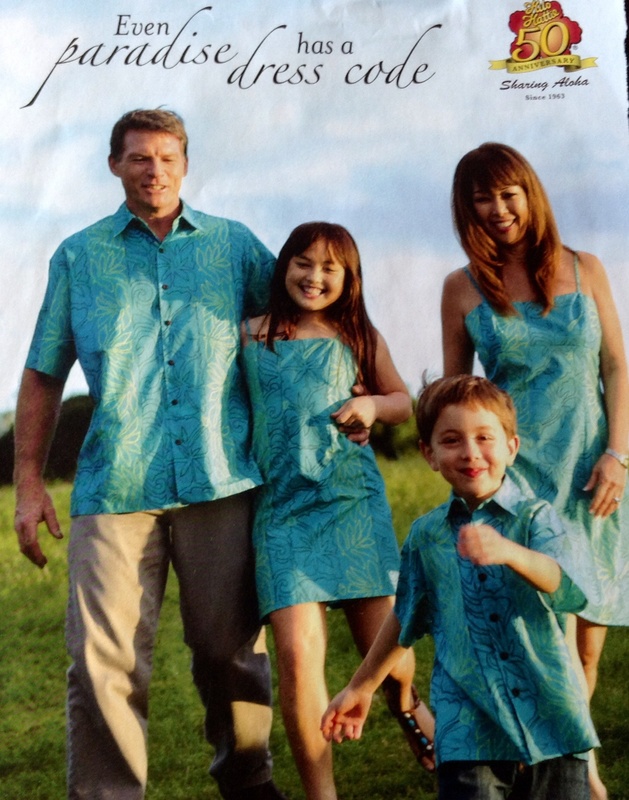 Please enjoy your Aloha-wear, ahem, responsibly. So that no one needs sunglasses to look at you.